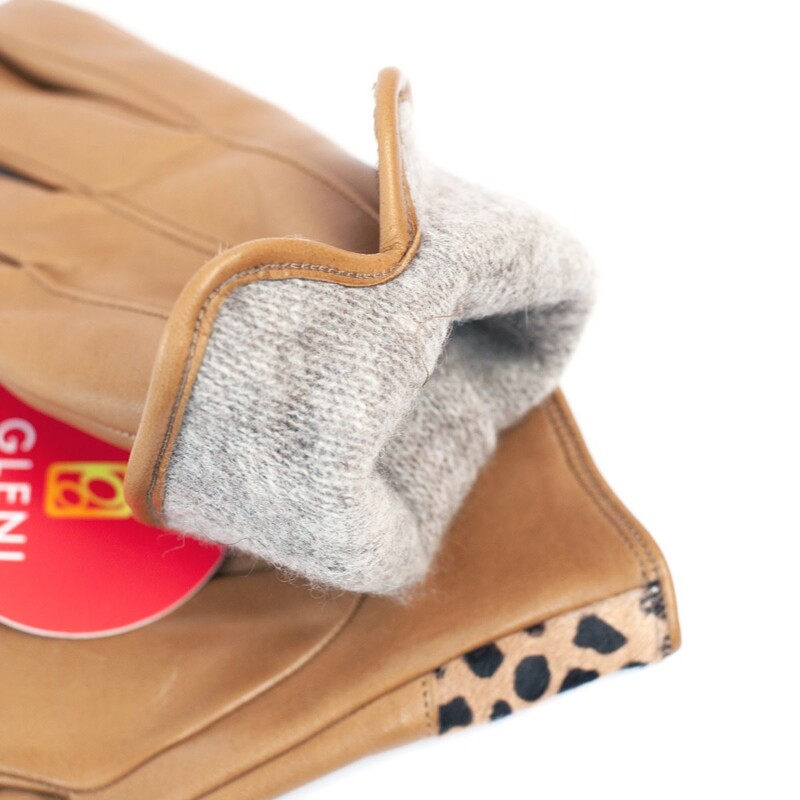 The line of these gloves is classic and simple but the leopard-print calf hair finishing, combined on Camel colored nappa, makes the Miranda very chic and young, trendy but elegant at the same time. The internal section, lined with soft grey cashmere, is perfect for the woman who loves walking for a long time even in winter, given that cashmere doesn’t make the glove heavy but it ensures the right warmth to your hands, preserving them from cold and keeping the leather soft and elastic. A so glamorous accessory can’t absolutely be missing in your wardrobe! 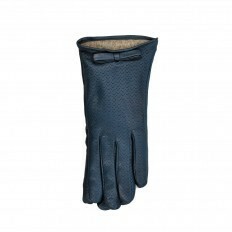 The gloves we are proposing you have been ideated thinking of a modern and dynamic woman, careful to her own look and always in step with times. MANUFACTURE : 100% Made in Italy. Genuine Craftsmanship. OUTSIDE COMPOSITION: camel colored nappa and leopard-print calf hair border. 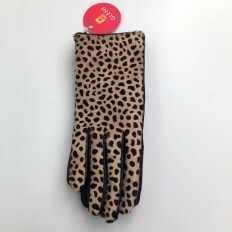 DESCRIPTION : Camel colored woman nappa gloves with border realized in spotted calf hair. Internal section lined with pearl grey cashmere. COLOR: Camel with leopard-print calf hair border.